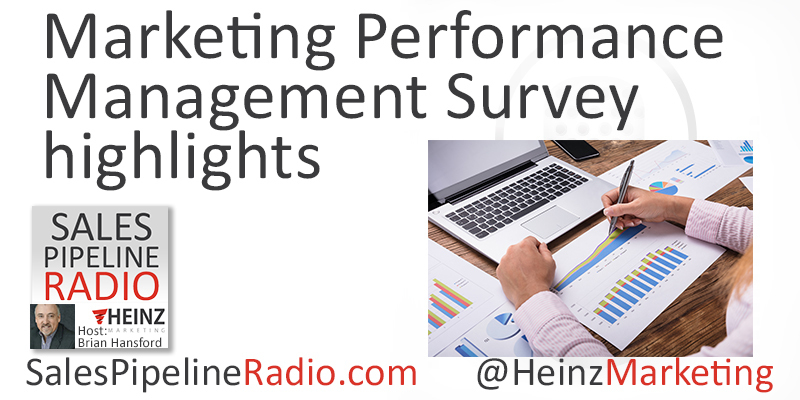 We surveyed over 250 B2B sales and marketing pros to learn how they achieve and measure revenue success. Through their insights we’ve learned how B2B marketing teams are managing, optimizing and reporting their results under increasing revenue accountability. Our research shows the best-performing companies have marketing organizations that share revenue accountability with sales teams. Companies are missing sales goals when their marketing teams don’t have revenue accountability or responsibility! Matt is traveling, so we are fortunate to have our on VP of Client Services, Brian Hansford to host this week and go over the highlights from the report. Brian Hansford is coming off the bench this week to fill in for Matt Heinz for tomorrow's episode. 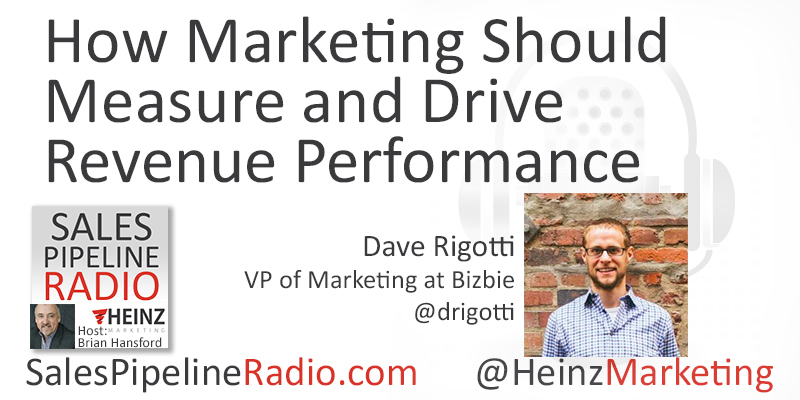 Joining Brian is Dave Rigotti, VP of Marketing from Bizible. Bizible provides a powerful platform that measures marketing performance in driving revenue. Brian and Dave will discuss how new analytics and attribution technologies help marketers measure where revenue is coming from, the best performing channels, and the ROI for demand generation. These tools are giving marketers powerful insights to align closely with sales and pursue a common goal!